Packaging express provide an extensive range of bagging, mailing and collating products and solutions, which are suitable for manytypes of applications. 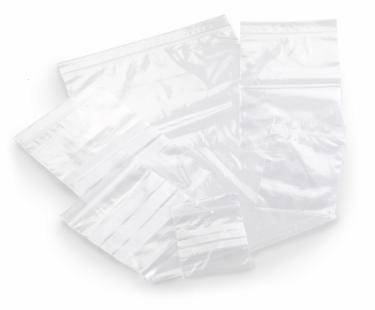 We have a variety of items to choose from when it comes to polythene bags.Our grip seal bags are particularly suitable for use in retail, office, police evidence, or refuse circumstances and so as they have such a diverse use, they are highly popular. Packaging express supply two different types of grip seal plastic bags, that can be used for a number of uses. That being plain polythene bags, or bags with the option to label. Other bagging and collating products include a colour assortment of mailing catalogue bags, whichcan be found also on the website.